The Cloud People Beating The Ground People Into The Dirt. I hate writing about this stuff. Yet It seems that I keep getting my nose rubbed into it. The cloud people are determined to pound the rest of us into the ground by making what was once cheap and available into something that is expensive and unreliable. I’m not by any means a champion of coal fired electricity. Beyond Coal is the most extensive, expensive and effective campaign in the Club’s 123-year history, and maybe the history of the environmental movement. It’s gone largely unnoticed amid the furor over the Keystone pipeline and President Barack Obama’s efforts to regulate carbon, but it’s helped retire more than one third of America’s coal plants since its launch in 2010, one dull hearing at a time. 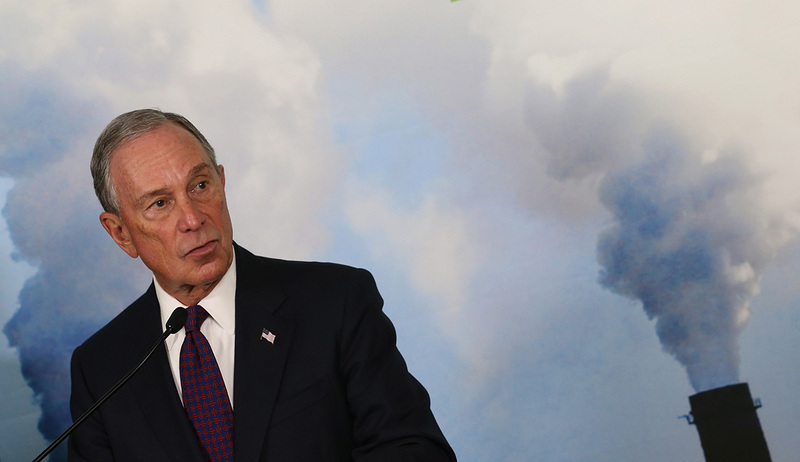 With a vast war chest donated by Michael Bloomberg, unlikely allies from the business world, and a strategy that relies more on economics than ecology, its team of nearly 200 litigators and organizers has won battles in the Midwestern and Appalachian coal belts, in the reddest of red states, in almost every state that burns coal. Coal still helps keep our lights on, generating nearly 40 percent of U.S. power. But it generated more than 50 percent just over a decade ago, and the big question now is how rapidly its decline will continue. Almost every watt of new generating capacity is coming from natural gas, wind or solar; the coal industry now employs fewer workers than the solar industry, which barely existed in 2010. Utilities no longer even bother to propose new coal plants to replace the old ones they retire. Coal industry stocks are tanking, and analysts are predicting a new wave of coal bankruptcies. Beyond Coal isn’t the stereotypical Sierra Club campaign, tree-huggers shouting save-the-Earth slogans. Yes, it sometimes deploys its 2.4 million-member, grass-roots army to shutter plants with traditional not-in-my-back-yard organizing and right-to-breathe agitating. But it usually wins by arguing that ditching coal will save ratepayers money. Behind that argument lies a revolution in the economics of power, changes few Americans think about when they flick their switches. Coal used to be the cheapest form of electricity by far, but it’s gotten pricier as it’s been forced to clean up more of its mess, while the costs of gas, wind and solar have plunged in recent years. Now retrofitting old coal plants with the pollution controls needed to comply with Obama’s limits on soot, sulfur and mercury is becoming cost-prohibitive—and the EPA is finalizing its new carbon rules as well as tougher ozone restrictions that should add to the burden. That’s why the Sierra Club finds itself in foxholes with big-box stores, manufacturers and other business interests, fighting coal upgrades that would jack up electricity bills, pushing for cheaper renewables and energy efficiency instead. In a case I watched in Oklahoma City, every stakeholder supported Beyond Coal’s push for a utility to buy more low-cost wind power—including a coalition of industrial customers that reportedly included a Koch Industries-owned paper mill. We have the nominee of one of the major parties telling the American people that she’s going to make thousands of people unemployed. Fortunately she didn’t win. Why Does Hillary Clinton Have A Problem With Americans Having Jobs? To say nothing of empoverishing all those people with 401k’s with coal in the portfolio. Of course this is nothing new, but up to now the Democrats have been willing to keep up the pretense that they weren’t going to leave us in the dark. Heretofore they’ve made sure to gaslight the public as much as possible. That’s changed and now they don’t seem to care that millions might have to pay more than they can afford for electricity. We accept the same old pablum, spend fortunes on yet more energy “efficiencies” and turn down our thermostats. Decade after decade we get the same old green crap. Meanwhile the big businesses move away and the small ones close. Living keeps getting more expensive. Yet we turn around and vote in the Malloys and their cronies over and over, while we freeze. If they had their way NH and the rest would be even WORSE. We are SO lucky to have the nuclear plants we have. But try telling the greens that. Two guys from Google got a bunch of money and went looking at the renewables with it. Guess what they found out. The renewables don’t pay. I could have save Google a pile of money by telling them that. Pay me 200k or so and I would have put it into a nice report with power point slides. Instead they hired two true believing cultists form universities and wasted a big chunk of the stockholder’s money. Well it could have been worse. It could have been Spain or Germany. Of course New England’s proximity to NYC and the predatory Wall St rentseekers doesn’t help. They can’t seem to help themselves when it comes to manipulating things like energy to their benefit and our costs out of pocket. The essential problem is that for New England to function well, the states need high energy densities to go with the high population densities. This has been case since the mid 19th Century. In the 19th century hydropower was used to power the faomous mills which produced the highly technically advanced products that made New England wealthy. But by the end of the 19th Century most of the available hydopower had been developed. This is what happen when you hand the keys of the kingdom to people disconnected from the consequences of the actions they take. In New England’s climate energy is life. We need to heat our living spaces and provide the power to run machines that create the regions wealth. Yet throughout my lifetime the powers that be in New England have consistently refused to expedite energy projects that actually make sense for the region and even now there are efforts to slow down or stop new natural gas pipelines for the new power plants needed to replace the shutdown coal plants. Through boondoggles like Cape Wind, power plant shutdowns for political and rent seeking reasons and the inability to expand existing facilities, the region is fast approaching a time when growth not only stops, but the regions very viability is at stake. It’s time we stopped placing the burden of energy on the poor and manufacturers. It’s time that the powers that be dropped out of their bubble in the cloud and came down have to live with the same problems the rest of us do. This has been one of the key themes that *I’ve* been worried about this election cycle: People who will let you know that they are “geniuses” or “near-geniuses” that the world should obey if they want a bright civilized future (our Nomenklatura) have absolutely no idea what sustains their cramped urban worlds. They could easily destroy, say, trucking in their malicious bid to put the proles in their place. When no one can make a living at logistics, the trucks won’t come. The massive convection of physical goods into their cities would stop. Then they would all have to escape the wreck or die trying. The Nomenklatura could easily convince themselves that they are doing virtuous, wonderful things by taking over and destroying the infrastructure that powers cities and towns. Then the lights go out. The question I have for all of these idiots is: What are you going to do when the lights go out? Because they will. In Michigan, they’ve already screwed up the water utilities. The Nomenklatura have contempt for physical reality (where they actually have to know how to do something *real* to have any hope of efficacy). They are educated, clever even, but only in the narrow sense of winning monkey social battles and dominating those they see as their enemies. They’ve dedicated their minds to solving social status games, not solving real problems. Look at what the concerns were for the two candidates and their circles. Hillary’s was LGBT and open borders. Trump’s was feeding your families. The Dems just did not get the fact that when people are struggling, what bathroom to use or playing King Canute with the weather just isn’t going to go over very well. Hillary kept goin out into places like Ohio and essentially threatening people’s livelihoods, those that hadn’t been taken by Wall St as far as the working class sees. The only reason Trump didn’t do better is the media spending all it’s effort trashing him rather than doing it’s job and the only reason Hillary did well was people living in the urban bubbles. This is what will be next. And mind you, the woman responsible for this is now the Commissioner of Public Lands in WA state. They outlaw wood heat, in areas where wood makes the most sense. Yet they insist we have to use technologies that simply can’t be scaled up to meet demand. I used to belong to a group about Peak Oil called Running on Empty. It became clear to me, over time, that they want people to die. They never think they will be the ones to die. Generally agree with this post, but should point out that the New England Pipeline shortage has some devils in the details. I’m all of the above when it comes to energy and support both more nuclear and more pipelines for gas/oil/etc. However the new pipeline that was being pushed in New England needed rate-payer financing. In other words, the end-consumer would have been hedging the producer’s raw material costs with the producers not having any skin in the game, but standing by to reap profits regardless if the gas was used. That’s not how a capitalist/free-market system works. If the pipeline makes such good sense (and i think it does), then let the producers get investment backing/loans against their future profits like most such ventures. I’ve not found a good explaination for why this wasn’t possible.